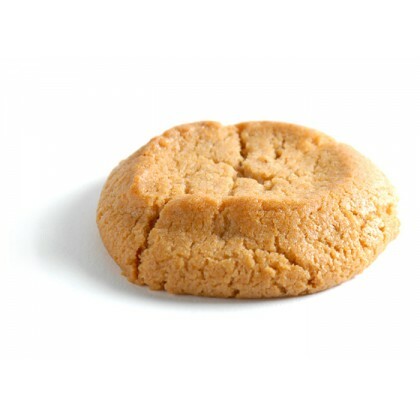 Unbleached Wheat Flour, Palm Fruit Oil, Peanut Butter (Roasted Peanuts), Evaporated Cane Juice, Organic Brown Sugar, Vanilla, Soy Lecithin, Baking Soda, Salt, Xantham Gum. 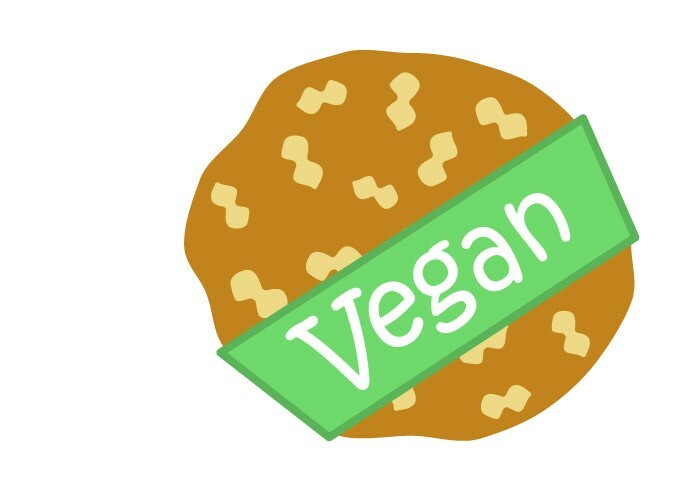 This product contains soy, wheat, and peanuts. 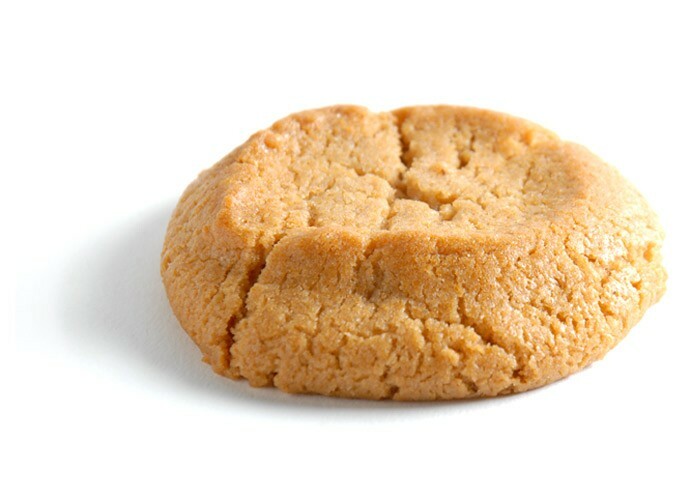 Every bite of this chewy & flakey peanut butter cookie feels like a throwback to your childhood. 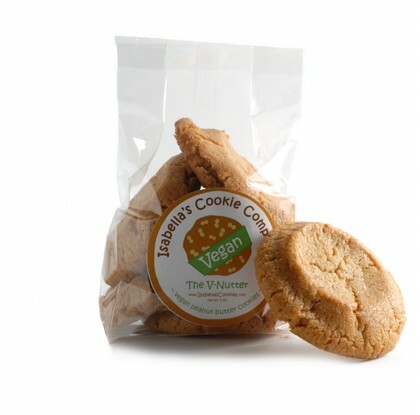 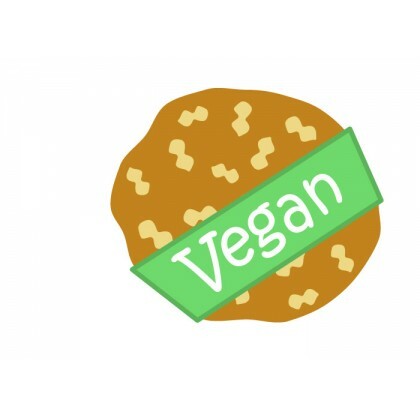 It's made with huge amounts of vegan love.